I recorded and exported some screen recordings with ScreenFlow at 60 fps, verifying in QuickTime that the clips are indeed 60 fps, but when I import into iMovie, it only recognizes the clips as 30fps. iMovie, however, does properly import other 60 fps clips I'm able to download (from Vimeo) for example. Has anyone had a similar experience, or know how to solve this? I haven't seen any other reports of this. It's clear what versions you're working with or the codecs you're using. In addition to that you can link to clip you exported from ScreenFlow for us to look at and how you're determining the frame rate in the version of iMovie you're using. Joshua Mailman I tested as well. The issue seems to be with iMovie. I place your file in FCPX and it's 60fps. iMovie is converting it to 30fps on export. Joshua Mailman And if I use iMovie's Send to Final Cut Pro feature FCP gets a 4k 29.97 project. So iMovie is changing both the frame size and frame rate. What ScreenFlow is encoding is exactly what it should though. FCP doesn't automatically adjust anything and it sees the odd frame size and 60fps as is. Thanks. Interesting. To be more precise, iMovie is actually "converting" to 30fps upon _import_, not export. I say this for two reasons: (1) in "Settings" the clip shows as just 4K (not 4K 60 fps), and (2) I can get iMovie to recognize other 60 fps clips, as such, as long as they are not from Screenflow. This is the reason I wrote to this forum. For instance, download this 60fps clip https://vimeo.com/300066904 and import it into iMovie; it shows as 60fps. I'm trying to figure out why Screenflow exports are not recognized similarly, and if there's a workaround. And the clip actually isn't 4K so it looks like it's converting it from non standard to a standard size. So it may be changing the frame rate while changing the frame size. FCPX accepts it as is. FCPX has a function which can either change the timeline to the non standard size or resize the source to fit a standard timeline. FCPX doesn't touch the frame rate though. I think iMovie tries to target a standard frame size (and therefore a frame rate as well). If you resize the clip when exporting from ScreenFlow it might work in iMovie as is. The issue isn't with the ScreenFlow export so much as iMovie can't handle non standard clips. 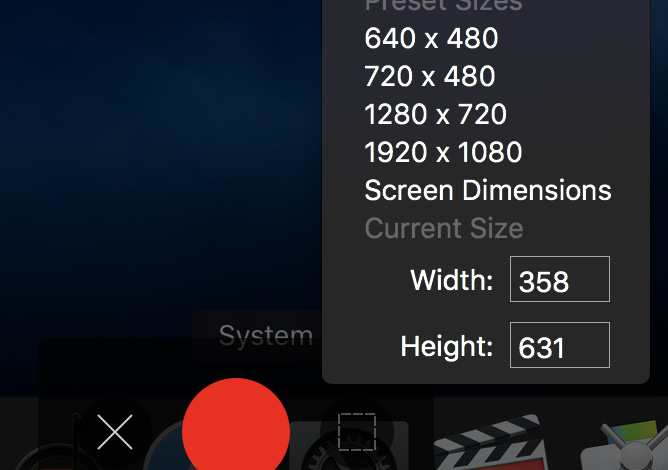 Joshua Mailman iMovie probably wants either 3840x2160 or 1920x1080 frame sizes. Aha! Thank you. 2880 x 1624 are the dimensions of a PowerPoint 13.33 inch x 7.5 inch page on my screen. It hadn't really occurred to me that this is slightly off from 16:9 aspect ratio, which is actually 2800 x 1620. When I record via ScreenFlow at 2800 x 1620 (instead of 2880 x 1624) and then import into iMovie, iMovie's setting for the clip now show "Format" instead of 4K or 1080 or 1080 60 fps. HOWEVER, when I export this, and open it it up in QuickTime, it indeed shows as 2800 x 1620 at 60 fps. Voila! Apparently for iMovie, four measly pixels off from the widescreen aspect ratio are enough for it to disregard half the frames (30 instead of 60 fps). Thank you for your testing and response, because it did prompt me to investigate this , which led to this workaround (recording at 2800x1620 (instead of 2800 x 1624). BTW, is there a way to ensure that Screenflow "remembers" my last recording dimensions configuration? 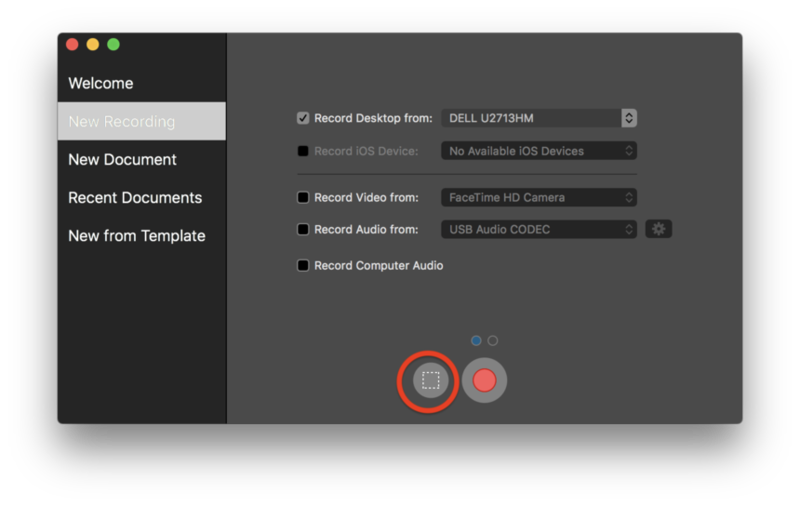 I find that it defaults to the full screen size (or some other dimensions) if I don't go into "configure recording" directly before each and every recording I do. Seems unnecessary. Good you caught it. Odd that iMovie throws out frames rather than just rescales. BTW, is there a way to ensure that Screenflow "remembers" my last recording dimensions configuration? It should remember the size and location of a partial screen recording. Otherwise it's recording the full screen. It might be interesting to have it retain a preset canvas size that's different than screen size. Certainly fill out the form and make the feature request. Thank you. It is not always remembering the most recent size and location of my partial screen recordings. Many times it just defaults to the full screen. Perhaps this is a bug? Joshua Mailman If you select Partial Screen button it'll bring up the same size and location. It defaults to full screen though. You just need to click on the partial screen icon and the "box" will be in the same place you last left it (last recording). Joshua Mailman Click the square button and it should remember the same size and location of the last partial screen recording. Then at the bottom of the screen there's partial screen presets and space for one custom setting.